You probably recognize these ski towns for their popularity in winter, but they’re just as good in the off-season. Late spring and summer yield warm temperatures for hiking and water sports, while early fall brings vivid foliage. Here are 10 mountain towns that are great even without the snow. 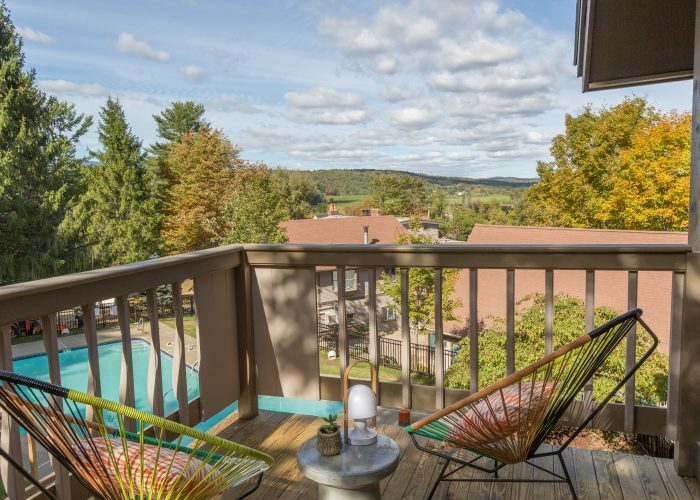 While it’s best known as a ski and snowboard town, Stowe also boasts fantastic fall foliage come September, as well as warm weather in the spring and abundant outdoor activities during summer. Stowe’s off season is early April to December. On the Mountain: Stowe Mountain is open year-round. During warmer seasons, visitors will find a zip-line tour, TreeTop Adventure, Gondola SkyRide, Mt. Mansfield historic Toll Road, and hiking and biking trails. Other Activities: There are two golf courses in town and several nearby lakes and rivers ideal for canoeing, kayaking, and paddle boarding. Stowe has some of New England’s best fall-foliage drives. Local Happenings: Don’t ignore the downtown area for shopping, art galleries, breweries, museums, a theater, and fine dining. Check out the Trapp Family Lodge’s brewery, owned by the original von Trapp Family of The Sound of Music fame. Nearby in Waterbury is the Ben & Jerry’s factory. Seasonal events include fly fishing, outdoor concerts, a weekly farmer’s market, Oktoberfest, hot air balloon festival, brewers festival, and the Stowe Wine & Food Classic. Where to Stay: Field Guide. The Lark Hotels’ property offers plenty of activity options for guests and has an on-site restaurant, pool, and outdoor area. It’s one of the newest hotels in Stowe, and offers seasonal specials. 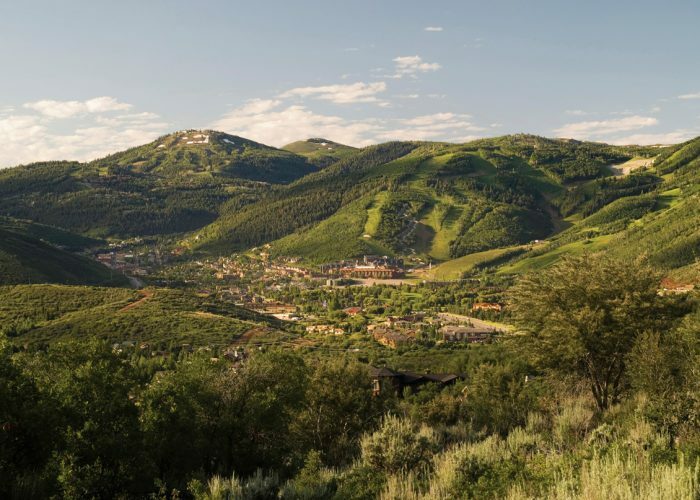 Known for hosting the Winter Olympics in 2002, Park City is great year-round, but has a myriad of actives in the spring, summer, and fall, too. Park City’s off-season stretches from mid-April to mid-November. On the Mountain: The Red Pine Gondola is open year-round, so you can go to the top of the mountain for the same views skiers get. Utah Olympic Park is home to an adventure ropes course, two zip lines, the Drop Tower, and Comet Bobsled ride on the 2002 Olympic Sliding Track. There are over 150 miles of public trails in the area, and most resorts still run their ski lifts in the off-season, so trails are easily accessible. Other Activities: You can whitewater raft on the Weber River, or boat and fish on the reservoirs in the area. Golfing is also a popular off-season activity, as is horseback riding, hiking, and day trips to the state’s five national parks. You can even take a hot air balloon ride over the Wasatch Mountains, or go balloon-crazy at the Autumn Aloft Hot Air Balloon Festival in September. 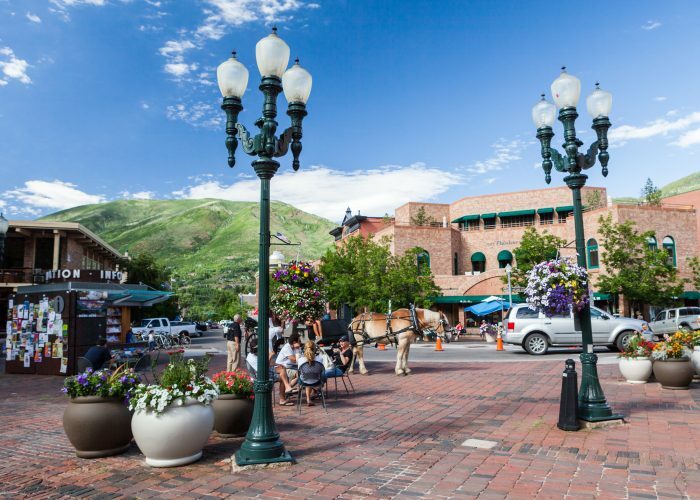 Local Happenings: Other off-season events include weekly farmers’ market, movies in the park, a Food & Wine Classic, Summit County Fair, Tour of Utah cycling competition, Utah Symphony, and Savor the Summit’s Grand Table event, where a massive table that seats 1,500 fills Main Street. If you aren’t around for one of these culinary events, take one of the city’s well-known food tours. 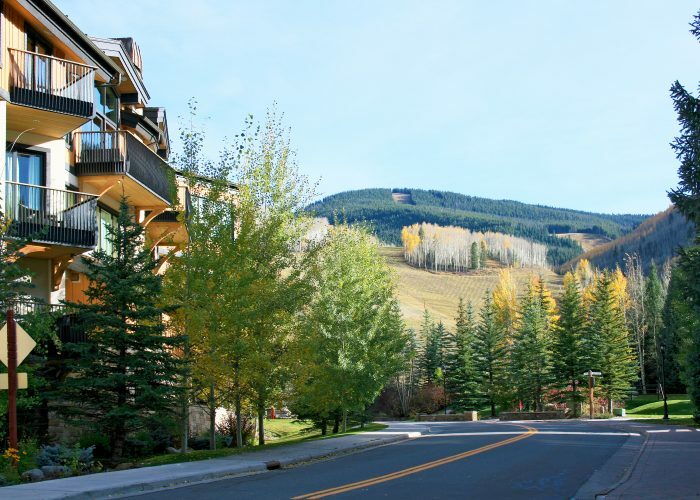 Where to Stay: Waldorf Astoria Park City. Located at the base of the mountain, this hotel has its own dedicated gondola, award-winning spa, onsite restaurant, outdoor pool, fitness center, and is just steps away from shopping and dining options. Check its website for off-season specials. Another destination with Olympic bragging rights is Lake Tahoe’s Squaw Valley, which hosted the winter games in 1960. While ski season here lasts from November to mid-May, summer and early fall at Squaw are just as enjoyable thanks to nearby Lake Tahoe and prime Sierra foliage. 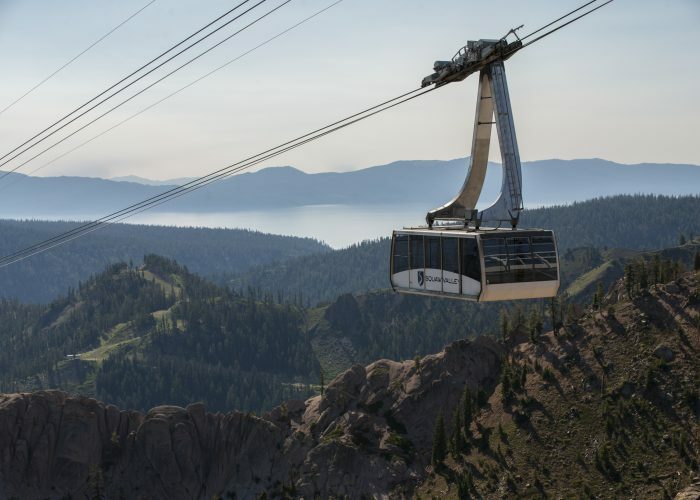 On the Mountain: Explore the High Camp Experience, which offers views of Lake Tahoe and the Sierra Nevada range. Here you’ll find a massive pool, hot tub, roller rink, Olympic Village, and lots of hiking trails. If you have time to spare, look into geocaching and use GPS coordinates to find hidden locations scattered amongst the peaks. Other Activities: On Lake Tahoe, you can go fly fishing, boating, jet skiing, canoeing, kayaking, and paddleboarding. On the Nevada side of the lake, casinos draw crowds. The area has a number of highly-regarded golf courses as well. Local Happenings: In the Village at Squaw Valley, you’ll find shopping, spas, restaurants, and bars open year-round, as well as summer concerts—like Bluesdays Tuesdays—yoga classes, and seasonal events like Oktoberfest. Where to Stay: The Village at Squaw Valley. Centrally located, The Village at Squaw Valley has everything you need for an off-season stay steps away from the aerial tram, shopping, and dining. Check the website for off-season specials. Two hours from Denver lies Colorado’s hottest ski mountains, and Vail is arguably the best known among them. Its winter popularity doesn’t flag in the warmer months—it draws more crowds each year in off-season: between late April and late November. On the Mountain: On the mountain you can take the gondola up and explore the hiking and biking trails as well as mountain-top restaurants. But the main activities here are at Epic Discovery, which has multiple zip lines, a canopy zip line tour, bungee trampolines, an alpine coaster, and a ropes course. Other Activities: Off-season activities include white-water rafting, kayaking, hiking, exploring Piney River Ranch, golfing, ATVing, paddle boarding, and horseback riding. Local Happenings: Due to the town’s winter popularity, renowned chefs like Nobu Matsuhisa have opened up locations here, and most restaurants and shops stay open year-round. Vail also has summer concerts at the Ford Amphitheater, weekly farmers’ markets, and a variety of seasonal events like Oktoberfest. Where to Stay: The Sebastian—Vail. You won’t feel like you’re in a stuffy ski lodge at The Sebastian. The ideally located Timber Resort property has one of the best bars in the village, along with an outdoor pool, jacuzzis, spa, fitness center, and restaurant. Check its website for off-season specials. 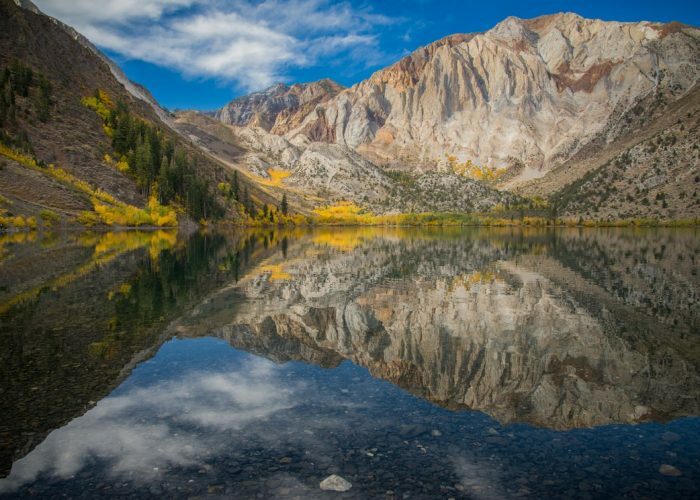 Located in Inyo National Forest, Mammoth Lakes is close (32 miles north) to the eastern entrance to Yosemite National Park, and it has 10 lakes and three natural hot springs in its basin. It’s also home to jaw-dropping rock formations like the Devils Postpile, Obsidian Dome, and the granite spires of the Minarets. Mammoth Lakes’ off season is from mid-April to mid-November. On the Mountain: The mountain has its own Adventure Center (open spring and summer) with a zip line, climbing wall, and bungee trampoline, and offers scenic gondola rides throughout the off-season. Other Activities: Kayak, canoe, fish, swim, paddle board, camp, or boat on the region’s lakes. Explore Yosemite National Park and Mono Lake and all their offerings. Once the snow melts, roads are open to Devils Postpile National Monument and 101-foot Rainbow Falls. There are plenty of hiking trails, like the hike to Minaret Vista, and biking trails—Mammoth Bike park was ranked the number one bike park in the U.S. by Outside Magazine. In autumn, the region has some of the best fall foliage through mid-October. Local Happenings: The town has more than 65 restaurants and plenty of shopping areas, outlet malls, and The Village at Mammoth Lakes. You’ll also find seasonal events, like Mammoth Rocks & Taste of the Sierra, an annual film festival, half marathon, bike games, Food & Wine Experience, and Beers & Bluesapalooza. Where to Stay: Tamarack Lodge. Located right on Twin Lakes, the lodge has 35 private cabins perfect for off-season activities. There is a restaurant, bar, activity center for easy access to boat rentals and guided tours, and direct access to hikes in the Lakes Basin. And, it typically offers off-season specials. Known for its lengthy winter season and heavy snowfall, McCall expects snow from November to April. 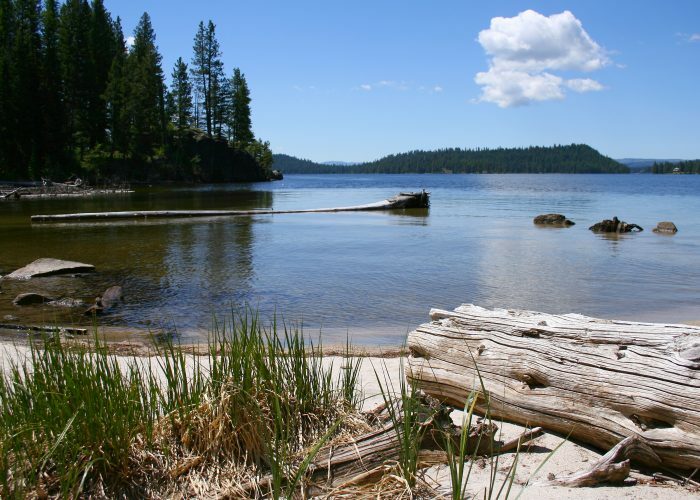 In the off season, though, its position on Payette Lake and an abundance of trails makes it a great spring, summer, and early fall destination. On the Mountain: Brundage Mountain is open off-season for scenic chairlift rides, mountain biking, hiking, disc golf, and mountain-top dining. Other Activities: Golf, hike, bike, camp, fish, river raft, boat, kayak, and jet ski on Payette Lake and the nearby Salmon River in the spring and summer. There are also two different hot springs open year-round. Local Happenings: You’ll find dining, museums, and shopping in downtown McCall. Where to Stay: Shore Lodge. Located on the shores of Payette Lake, Shore Lodge has a spa complete with saltwater immersion indoor and outdoor pools, three restaurants, a fitness center, walking paths, and direct access to the lake. Those looking to make their vacation more permanent can do so via Whitetail Club, the real estate community on property with a golf course, athletic complex, and private Fish & Swim Club. Home to Whiteface Mountain and the 1932 and 1980 Winter Olympics, Lake Placid is a well-known winter hub. But off season, which stretches from early April to late November, is just as popular thanks to outdoor activities and Adirondacks fall foliage. On the Mountain: At Whiteface you can hike, experience a 30-foot free fall at Whiteface Airbag, bike, play disc golf, go on a 4×4 alpine expedition, visit the Olympic Museum, and take a scenic gondola ride to the summit. The drive along Whiteface Veteran’s Memorial Highway is also spectacular. Other Activities: Hiking is the most popular non-skiing activity in the Adirondacks. There are hundreds of trails throughout Lake Placid that cater to all abilities. Plus there’s mountain biking, road biking, and rock climbing, as well as water sports on the hundreds of miles of lakes, ponds, and rivers—the West Branch of the Ausable River is a fly-fishing mecca. There are also four public golf courses in the area, all with sweeping views of the Adirondacks. Local Happenings: The area offers seasonal events like Maple Weekends, Oktoberfest, art walks, concerts, a marathon, horse shows, and the I Love BBQ & Music Festival. There are plenty of popular breweries and wineries—check out the Adirondack Craft Beverage Trail and Map—as well as high-end restaurants and shops downtown. Where to Stay: Lake Placid Lodge. The only resort directly on the lake, Lake Placid Lodge has an on-site restaurant with a constantly changing menu and a private wine cellar dining room (reservations-only) with almost 10,000 bottles. The lodge has an onsite bar, daily sunset cruises, and complimentary use of canoes and mountain bikes. 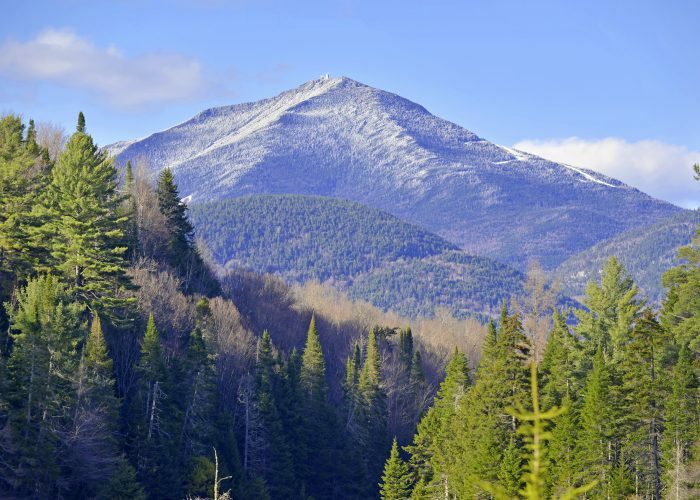 The property is adjoined to the Whiteface Club, and offers seasonal package deals. Situated within Banff National Park lies Banff, the resort town in Alberta whose turquoise blue lakes have most likely taken over your Instagram feed. Banff is home to the Big 3 mountains—Lake Louise, Sunshine Village, and Mt. Norquay—but during the warmer months, you can enjoy the national park even more. Banff’s off-season is a little bit shorter, lasting from mid-May to early November. On the Mountain: Mt. Norquay has the most going on during off season, with its summit’s restaurant and chairlift open, a climbing experience, and hiking trails. Lake Louise‘s gondola and Wildlife Interpretive Centre are open off-season, as are hiking trails and the summit’s restaurant. Sunshine Village keeps its gondola and chairlift open on weekends throughout the year. 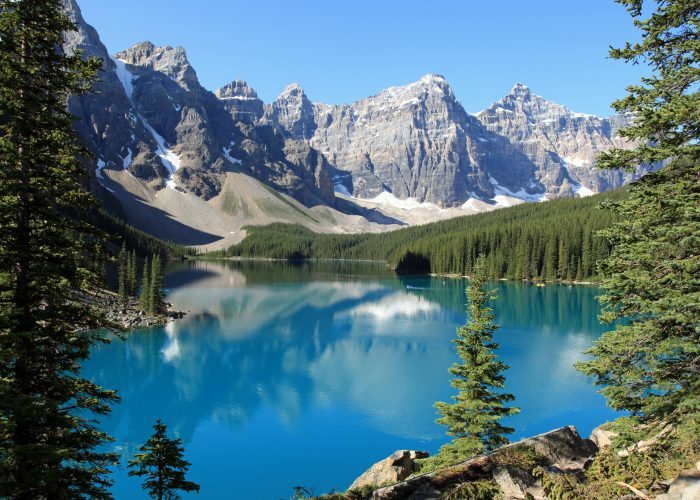 Other Activities: Banff National Park offers endless outdoor activities like whitewater rafting, horseback riding, golfing, hiking, wildlife spotting, and water sports. There are three hot springs in the area, open only in the off season; and even in the warmer months, you can still take an icefield tour. Local Happenings: Explore the villages of Banff and Lake Louise, which both have restaurants, breweries, galleries, and shopping. Off-season highlights include the town’s Canada Day celebration, Rocky Mountain Food & Wine Festival, and the Banff Centre‘s film and book festival. Where to Stay: Fairmont Banff Springs. This famous hotel is known as the “Castle in the Rockies,” and offers nothing short of luxury. It has a championship golf course, indoor and outdoor pools, six on-site restaurants, a wine bar, a European-style spa, and it’s walking distance from the town of Banff. Plus, it offers seasonal discounts. About two hours from its rival Vail, Aspen’s Snowmass also offers outdoor activities and off-season events. It has four mountains—Snowmass, Aspen Mountain (Ajax), Buttermilk Mountain, and Aspen Highlands. Here, the off-season runs from mid-April to late November, so there’s plenty of time to enjoy the mountains and villages. On the Mountain: Two of the four peaks have off-season activities: Snowmass offers scenic gondola rides, hiking trails, dining, paintballing, and 50 miles of mountain-biking trails at the bike park. Ajax‘s gondola is open and, at the top, you can do yoga, hike, or dine at a restaurant. Other Activities: Off-mountain activities include paragliding, golfing, hot-air ballooning, horseback riding, scenic drives, biking in the Fork Valley, plus water sports, kayaking, paddleboarding, whitewater rafting, and fishing. Local Happenings: Snowmass Village and Aspen are about 15 minutes apart, and both have lots of shopping and dining options. Off-season events include Mammoth Fest, the famous Aspen Food & Wine Classic, Aspen FilmFest, Snowmass Balloon Festival, Aspen Music Festival, and John Denver Week. Where to Stay: Hyatt Residence Club Grand Aspen. A short walk from the base of Ajax, the Grand Aspen has an outdoor pool, fire pit, and fitness center. 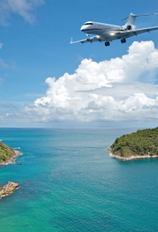 The hotel also offers complimentary shuttle service from the airport. About two hours from Toronto, you’ll find the Blue Mountains between Georgian Bay and the Niagara Escarpment. 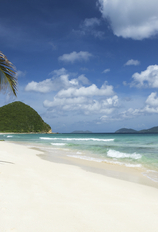 With an off-season that runs from mid-April to late November, you have ample time to enjoy the family-friendly town. On the Mountain: Ride the scenic gondola to the top of Blue Mountain where you’ll find ropes courses, a bag jump, alpine coaster, zip line, hiking trails, mountain biking trails, and Segway tours. Other Activities: There are plenty of bodies of water perfect for paddling, sea kayaking, as well as caving and climbing. You can also golf or opt to relax at the Scandinavian baths and spa or iwa Spa. About 10 minutes away you’ll even find a beach, located on Georgian Bay. And take note of the Apple Pie Trail, as the Blue Mountains are in Ontario’s largest apple growing region. There are two wineries nearby—Georgian Hills and Coffin Ridge. Local Happenings: Blue Mountain Village has plenty of shopping and dining. In nearby Collingwood, check out the brewery and Cooking Academy. Off-season annual events include Centurion Cycling Canada, Peak to Shore Music Festival, Canada Day Celebrations, and The North Face Endurance Challenge. 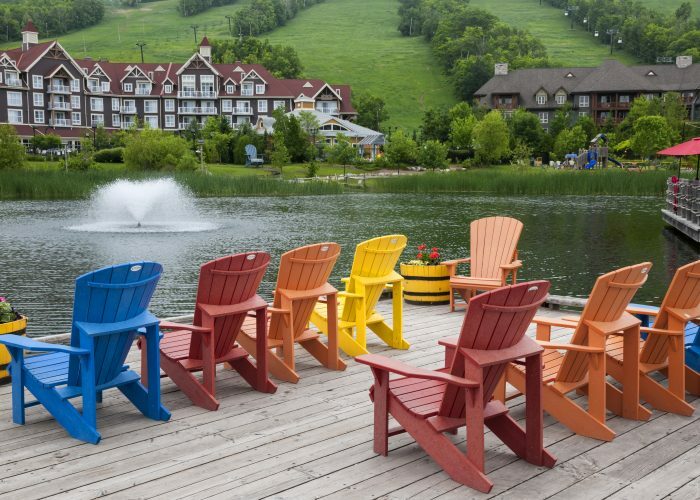 Where to Stay: Westin Trillium House, Blue Mountain. The resort is located next to the Plunge! Aquatic Centre with indoor and outdoor pools, slides, swings, and hot tubs. The resort is part of Westin’s Well-Being Program complete with a run concierge and New Balance gear—and it’s pet-friendly for your pup. Check out the seasonal offers.